Since 1996, we’ve been involved with the internet services and its practical business applications. However, one thing that remains constant is that there is nothing “constant” on the internet. Active, successful businesses adapt their web communications to match their audience needs. Businesses with less than 50 employees often lack the resources to maintain their web sites. When was the last time you purchased bread that wasn’t fresh? Or felt compelled to ‘try’ a new product or service with an outdated look or message? We use GoDaddy, Network Solutions, HostGator, MediaTemple and other hosting companies for our clients. We also manage client sites via cPanel, Plesk and can setup and configure your hosting account for you. We also handle site migration to new web hosting servers. Web marketing is not for amateurs. We have over 12 years experience with online marketing and can help you from start to finish, or improve your current campaign. Fresh content is what keeps users coming back, and we can help you to keep your site updated and we offer solutions that enable you to stay ahead of the competition. Many of our clients already have a web solution in place and have seen some level of success. They turn to Chicago Web Management to take their web site to the next level. Often, an integral ingredient is an updated design to project professionalism and inspire confidence in our client’s audience. 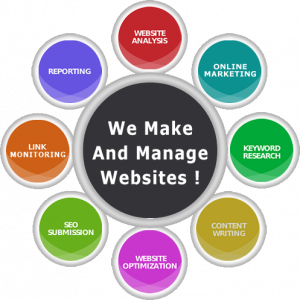 Chicago Web Management’s designers have been creating successful web designs since the early days of the World Wide Web. We can help you to articulate your communication needs in a clear, relevant manner. CMS just a fancy way of saying “Do It Yourself” but the fact is, many of our clients prefer to manage their own content and we can easily implement tools to enable you to do just that! For as little as $500, we can install an easy-to-use web publishing tool for your staff to keep the web site updated. How easy-to-use? If you can open Word or Excel, you can use our tool. Contact us for the Top-Secret link to test drive this. We now offer Drupal! We offer a secure method of online payment for your business. Whether you already have a merchant account set up or you’re just looking for full-scale online processing system, we’ve got just the solution for you. Security is paramount and all systems offer Secure Sockets Layer technology — the same as what Citibank, Chase, and Amazon use for their online transactions. See our ‘direct payment page’ for an example. Drowning in Spam? Looking to get rid of that goofyname@aol.com address? We can help you to configure your email accounts so that prospective leads make it to your inbox while the junk mail gets put where it belongs, in the trash! Did you know that you can set up special email accounts to track your marketing efforts? Ask us how! Have a bunch of files that you need to access via a private/password-protected directory? We can install this for you and you’ll be able to share files with coworkers, vendors, clients and authorized personnel, but NOT the public. Very handy for sales support, field support or other out-of-office document storage requirements. Have more than one website? Want more than one web site? We can help you to maintain multiple domains with all content put where it belongs — ditto the email setups for each domain. The best web site on the internet won’t help your business if customers don’t know where to find you. Our experienced developers can optimize your pages to return the best possible results from Yahoo, Google and others. We’ll embed your searchable keywords in the web site, and submit your address to all of the major search engines. We can also make recommendations for paid listings, alternate addresses, and other techniques to give you higher visibility and more traffic. We recommend Site Report Card for quick assessments of what your site needs. Go ahead and test it yourself. (opens in new window), simply enter your URL and see the results. If its not 8/10 or higher, give us a call: (773)213-7747 and we’ll help you interpret the results. Want to be able to maintain your own web site? We can help set you up so that you can maintain control of your web site We also offer software recommendations for your specific small-business need. 1. Lowered costs & reduce errors over time–improves efficiency and productivity. 2. Online sales can tie into your in-house entry system. 3. Dynamic content maximizes your business capabilities online — no more static pages. Our government clients are often looking to do more, with less. To see how we help them accomplish this, contact us and we’ll show you how to keep your technology investment current with minimal expense. Chicago Web Management offers analysis of your web traffic data to help you maximize your communications efforts. Want to know who showed up and what pages they visited? We can do that and give you insight to help your site perform better. Webtrends, Urchin, Analog are some of the web analysis tools we can use to ‘give meaning’ to your traffic data.